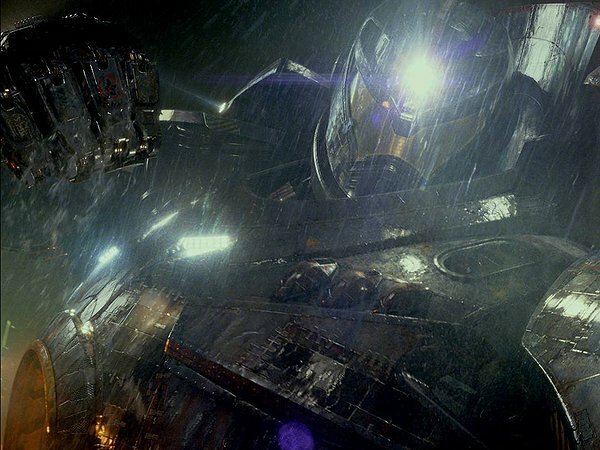 The story will be familiar to anyone who has seen a Godzilla movie (or “Independence Day,” or “Transformers,” or “The Avengers,” or…) so it barely is worth mentioning, but just to say I covered it the story revolves around aliens have attacked Earth and Earth decided to make big robots to fight back. If there is a distinction between this film and other films with this storyline it's that the aliens come from inside the Earth rather than from the sky. They must be truly advanced to come from the inside of Earth and still manage for humans to not pick up on them with heat sensors (or any other digging machines that help people find dinosaur bones). The film even goes for broke with a multiracial cast that insures that everyone from all over the world will see someone who looks like them. 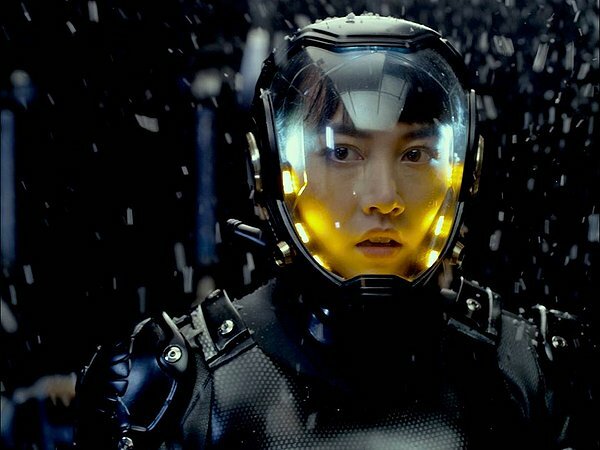 We have a black man (Idris Elba as Stacker Pentecost), a Japanese woman (Rinko Kikuchi as Mako Mori), and there are even some Mexicans in the background doing the small jobs that no one else wants to do. 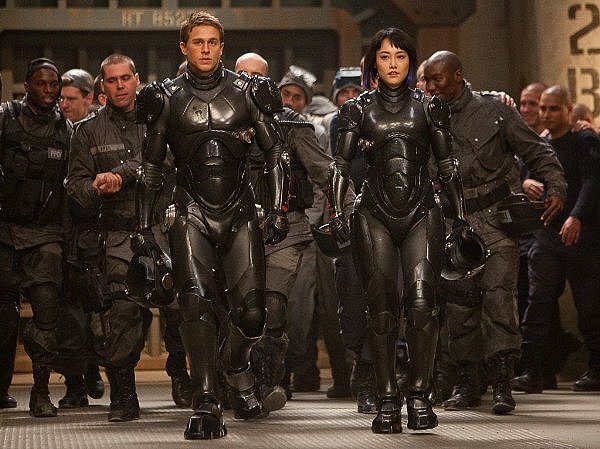 The lead though is the marketing friendly Raleigh Becket (Charlie Hunnam), who is brought back into service to help combat the continuing threat of the aliens. Again, so very predictable. Why, his older brother even dies within the first fifteen minutes of the film to give the kid a reason to mope about saving mankind (and, by extension, his own life). 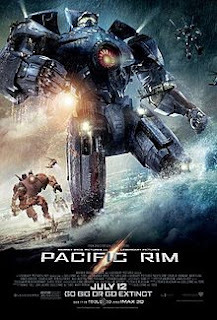 Normally “Pacific Rim” would have likely been a really expensive B-movie, but the film is directed by acclaimed director Guillermo del Toro, who is known for directing visually stunning films. Unlike Michael Bay though, Guillermo del Toro lets the images tell the story properly and gives the editors directions to let the scenes breath. There's nothing unique when we see the first giant robot coming alive, but we do take notice that the robot walks slowly and heavily, as if there was actual weight that was slowing it down. I imagine if these robots are able to come to existence someday they will move exactly like this. When battles scenes arrive not only does the camera linger long enough for the audience to get invested in the shot, but the battles feel much more real than the cartoony sequences in “Man of Steel.” It's the kind of filmmaking that makes an audience invested in the action regardless how brainless it is. 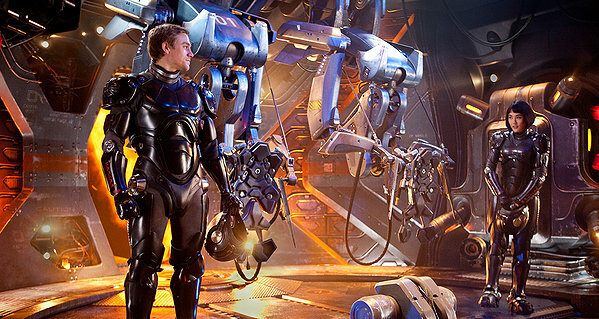 Granted, “Pacific Rim” is far from brainless. Only a smart movie could take all these clichés and still make them interesting in a summer where the clichés have been beaten much more prevalent than usual. While I doubt “Pacific Rim” is going to have much conversions with people who don't normally watch this stuff I have no doubt that fans of this sort of thing will find a lot to like here. Parents, there is a lot of violence and some strong language at points. Recommended for ages 15 and up.